Traffic Jam Assist is an intelligent driving technology that Ford is developing potentially for the mid-term (2017 to 2025). It uses radar and camera technology to keep pace with other vehicles and provide automated steering control to stay in the current lane, reducing driver stress and potentially improving vehicle flow. Individual simulation studies have found that where 25 percent of vehicles on a stretch of road are equipped to automatically follow the traffic ahead, journey times can be reduced by 37.5 percent and delays reduced by 20 percent. 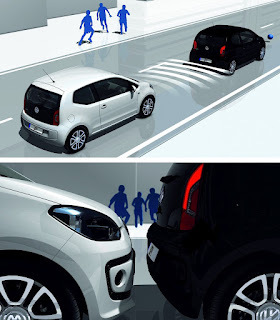 Traffic Jam Assist has the potential to follow the traffic ahead while maintaining lane position in environments where there are no pedestrians, cyclists or animals, and where lanes are clearly marked. Driver Assistance Systems have evolved dramatically during the last decade. In the early stage their use was limited due to high cost und technological restrictions in the premium segment. Today we witness a massive rollout phase into every car segment. On the one hand this leads to higher volume on the other hand the accepted price from the customer is much lower than before without accepting too much compromises in functionality. This describes the challenge for OEMs as well as suppliers. The Transport Committee in the European Parliament supported the introduction of a mandatory electronic system of emergency - the famous eCall - in all new car models as from 2015. "ECall could save lives with relatively little effort", said Dieter-Lebrecht Koch, from Germany, Vice-Chairman of the Transport Committee in the European Parliament. 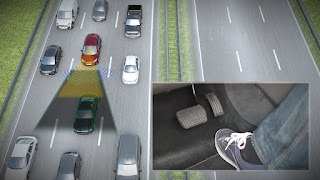 Euro NCAP is calling for car makers to do more to help reduce Europe's road deaths by fitting AEB (autonomous emergency braking) technology as standard to new cars. The independent safety organisation says that the industry should do more to promote the technology, which can save thousands of lives each year. AEB systems will be included in the Euro NCAP star rating as from 2014. 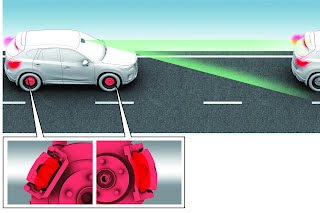 Research suggests that Autonomous Emergency Braking systems can reduce accidents by up to 27%, saving around 8,000 lives and preventing many more serious injuries and whiplash claims each year. 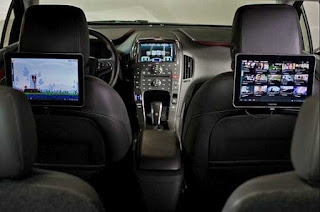 Despite this, the technology has only been made available on around 20% of new cars and many manufacturers do not offer the technology at all. As part of the Commission's modern industrial policy, the CARS 21 (Competitive Automotive Regulatory System for the 21st century) made recommendations for 2020 to reach new heights. It's a call for rapid progress on important subjects such as electro-mobility, road safety, market access strategy and a review of the CO2 emissions from cars and vans. Cars 21 claims the roll out of alternative infrastructure to support new energies, standardisation issues for the breakthrough of electrical cars, the EIB financing for research, a new driving test-cycle and test procedure in order to reduce CO2 emissions, as well as ICT technologies supporting driver behaviour and road safety. The car of 2020 should be clean, fuel-efficient, quiet, safe and connected. Rémi Bastien is Vice President for Research, Advanced Studies and Materials at Renault. For this third and last part of the interview, he discusses about CESA congress and the french know how. 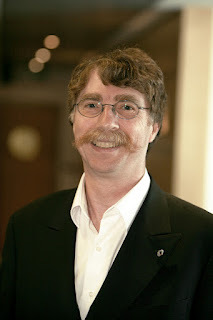 "As a shareholder of SIA*, I was one of the promoters of the CESA congress. The first edition in 2010 was rather successful and we have decided to continue. A scientific congress is much more a tradition in Germany, where engineers like to share information, than in France. However, we have good scientists too and it's an opportunity to present research labs, universities and to put the emphasis on french know how in the whole automotive industry. We have for example the VeDeCom institute, housed by the Mov'eo cluster and which is very unique in Europe. It's the only place you can find OEMS, suppliers, labs, famous research firms (CEA, IFP, IFSTTAR), and outside automotive companies such as Veolia or EDF, working all together on carbon free vehicles and new mobiliy trends. This is the second part of the interview of Rémi Bastien, Vice President for Research, Advanced Studies and Materials at Renault. The internal code name for this organisation is DREAM. So, let's dream of the future with our top expert. "With this research organisation, we try to make our managers dream, and then our customers. More seriously, we drive half of the innovation at Renault. 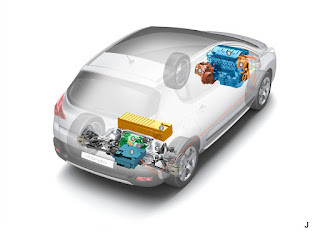 We are working on early stage on breakthrough innovations, whether it's on powertrain, or for the connected car. To give an example, we have created the embedded charger on Zoe EV car, wich is called Cameleon and allows to charge more quickly. This device is compliant with power from 22 to 43 kW. 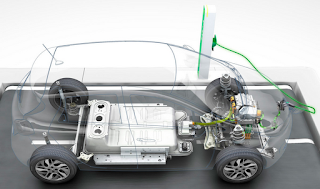 One of our challenges at the moment is to develop more affordable batteries, always for EVs. We expect to be ready in 2017, with next generation batteries which would allow the same range, from 150 to 200 km, but with a much lower price. Rémi Bastien is Vice President for Research, Advanced Studies and Materials at Renault. As the new chairman of EUCAR, the Brussels based organisation, he discusses first about research in Europe. "EUCAR stands for European Council for Automotive R&D. With fourteen members, wich are automotive manufacturers from the ACEA*, the organisation identifies research priorities and interacts whith the European Commission, in order to improve the competitiveness of the industry. Our key challenge at the moment is Horizon 2020, the Framework Programme for Research & Innovation. Our proposal is to triple the amount of fundings, with a 5 billion Euros budget for the next seven years to face the challenges. Research efforts have to be done on cars themselves, but also in the fields of energy and communication. This idea has been well received by the European Commission. In the first-quarter 2012, the amount of CO2 emitted by PSA Peugeot Citroën vehicles declined by 2.1 grams compared with 2011, making the Group the leader in Europe with average CO2 emissions of 125.5 grams per kilometre. - Optimising petrol and diesel internal-combustion engines by deploying HDi engines equipped with particulate filters (5.7 million vehicles on the road by the end of April 2012) and developing a new 3-cylinder petrol engine that emits less than 100 grams per kilometre for the new Peugeot 208 in 2012. - Deploying hybrid technologies: by standardizing Stop&Start technology across the Peugeot and Citroën line-ups (380 000 vehicles equipped at the end of April 2012) and by launching new diesel hybrid models – the Peugeot 3008 HYbrid4 and 508 RXH and the Citroën DS5 HYbrid4 – with carbon emissions of 95 to 107 grams per kilometre. 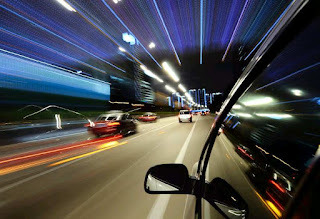 On june 26th, in Brittany*, ID4 Car cluster and other partners (ITS Brittany, Orange...) are organising a showcase around 4 G connectivity dedicated to transports. The aim is to prepare the arrival of this new standard in cars. Experts will present 4 G LTE potential and will discuss about connected services. Thanks to a greater bandwith, 4 G is ten times faster and allows new applications in the vehicle. CLEPA, the European Association of Automotive Suppliers gives its firm support to the FIA’s Action for Road Safety. 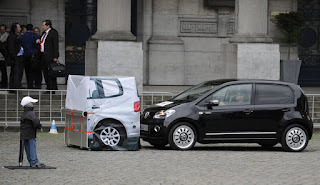 The campaign of the Federation Internationale de l'Automobile has been launched in May 2011, in response to the challenges raised by the UN Decade of Action for Road Safety. The goal of the Action is to prevent five million deaths and countless serious injuries on roads around the world over the next ten years. In 2011, in Europe the number recorded accidents reached 1.1 million in total. CLEPA reminds that the automotive suppliers invest € 15 Billion per year in R&D and produce by far most of the equipment that saves lives. These include, among others, systems for electronic stability control, collision warning, emergency braking, lane departure warning, blind spot monitoring and adaptive headlights. The association supports as well the implementation of the life-saving eCall system being fitted in all new models of cars and light duty vehicles from 2015.